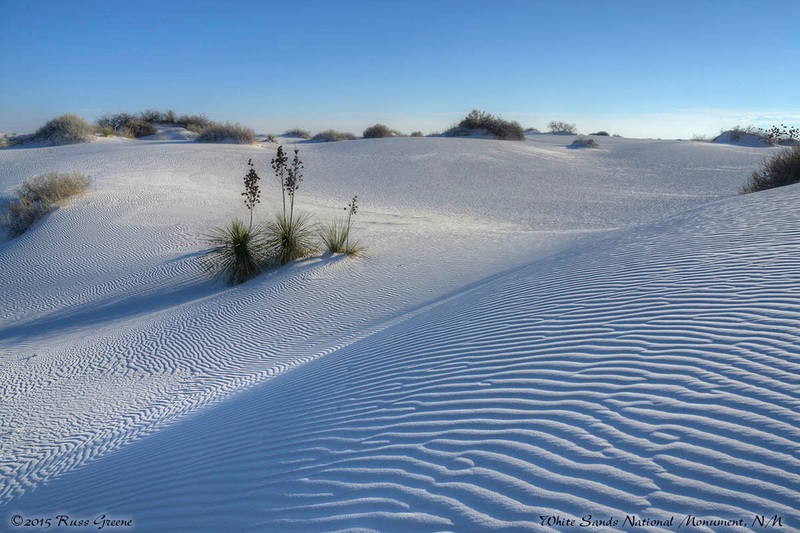 I was in photographer’s heaven at White Sands National Monument. My friend Tim and I accidentally walked into an area that was off limits. Before the park rangers came and booted us out we managed to get off a few shots. This area had plants and zero footprints except those from birds and animals. Almost everywhere else we went was littered with human footprints, people, had little if any plant life, and was thus uninteresting. I’ve been a photographer for a great many years. I’ve worked in studios and as a freelancer. I’ve owned my own studio. These days I shoot mostly for this blog and my own enjoyment. I have a note card business. I’ve created a line of fine art note cards (like a greeting card but with no greeting; blank inside) that I wholesale to gift stores, flower shops, etc. You can see some of these photos and read about the evolution of that business on my page A ROSE BY ANY OTHER NAME WOULD SMELL AS SWEET. I have a small presence on Fine Art America that I largely ignore. 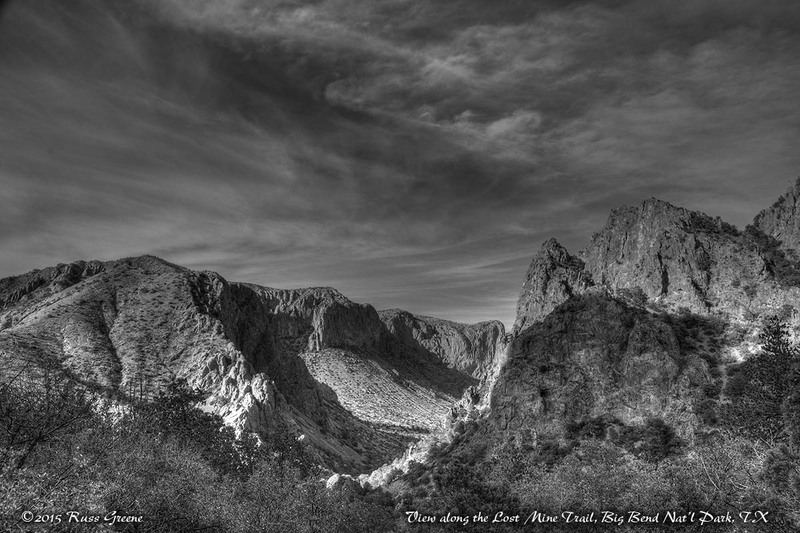 View along the Lost Mine Trail, Big Bend Nat’l Park, TX. This hike is about 4.8 miles round trip with an elevation gain of 1,100′. There are wonderful views along the way and it runs through habitat much different than desert below. I enjoy photography, talking about photography and writing about it too. If you have any questions about photography in general or my photography in particular drop me a line. I haven’t found a way in WordPress to make that possible without subscribing to the blog. If you take the name of the blog, however, and add @hotmail.com that should get to me. where is the forest located on your Home Page? It looks like a redwood forest. That shot was taken at Henry Cowell Redwoods State Park not far from Santa Cruz, CA. It was during my first shakeout cruise with my then new-to-me Class C.
Well, thanks so much for your kind words! Obviously you have excellent taste. Ha ha. Tell all your friends about the blog!